As PepsiCo’s VP of hydration & innovation, Olga Osminkina-Jones is the branding dynamo for the company’s global hydration portfolio. Her role includes helming pH-balanced, electrolytes-enriched LIFEWTR. Each Series of the premium water brand features three distinct and beautiful bottles, showcasing three different artists. 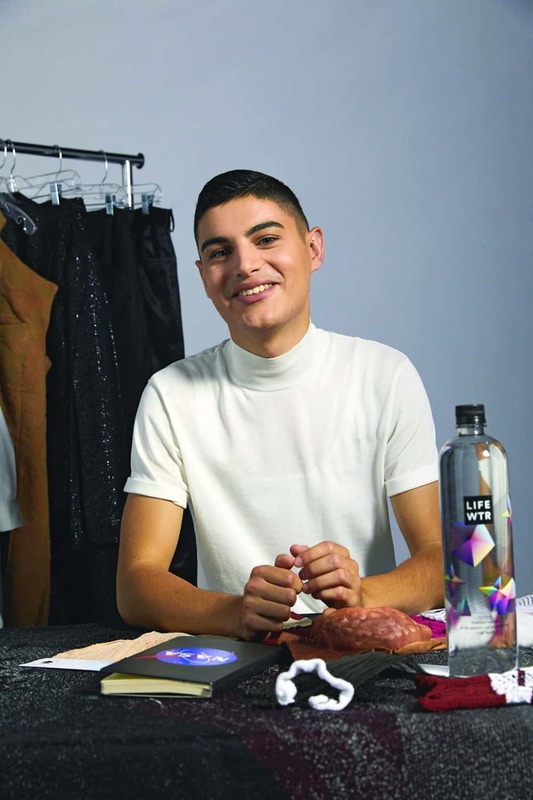 For Series 3 and Series 6, which is available now, the brand partnered with the CFDA to select fashion designers who, in addition to designing their own LIFEWTR bottles, had the opportunity to showcase their work at New York Fashion Week. Osminkina-Jones explains the ongoing initiative, the latest young talents, and what lies ahead for the chic brand. How do the six LIFEWTR series themes, and the array of talents chosen to reflect these themes, tie together? Every LIFEWTR series is rooted in a real cultural tension—a tension that is based in the art, fashion, and design worlds. At the same time, it’s about a tension that is relevant to society at large, one that is worth talking about. How did you and the LIFEWTR team come up with the concept for Series 6? LIFEWTR Series 6 is all about putting the spotlight on the importance of diversity in the design world and how diversity cannot only help empower freedom of self-expression, but also shape the way we relate with other cultures and grow empathy for diversity of thought. Why do you think the trio of designers selected for Series 6 are a great fit for this ongoing LIFEWTR x CFDA initiative? Like The Daily, LIFEWTR is committed to supporting emerging designers. What are you proudest of, as far as the evolution of LIFEWTR’s partnership with the CFDA—and with NYFW? I am endlessly proud of the authentic nature of our partnership. We are united by a shared purpose to foster creativity and help emerging talent that can make a real impact on this world. All we do together is fueled by our shared purpose and values, and in turn, this makes for a meaningful impact. 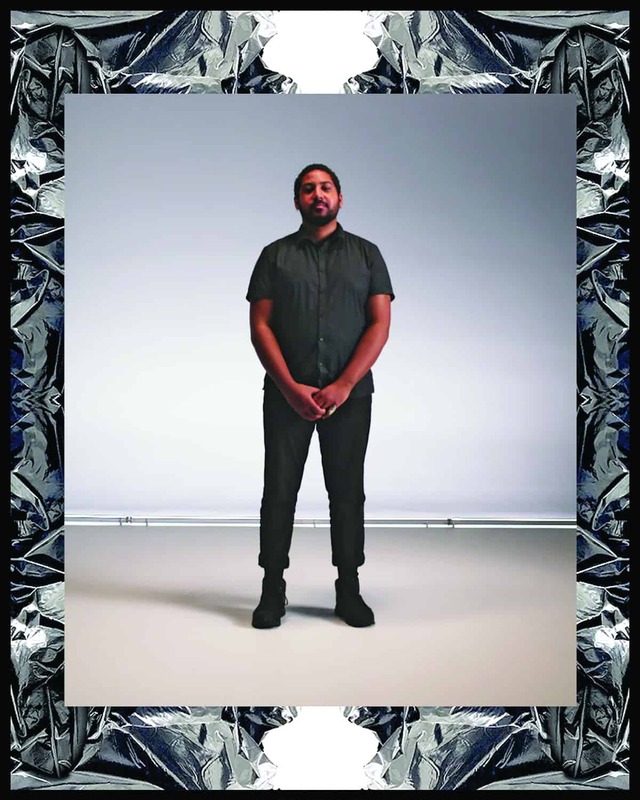 Together we have progressed the careers of six individual designers in the fashion industry, with some of them now launching their own collections and being selected for other opportunities, like Project Runway. Beyond that, we have touched many students through art and fashion in education initiatives. We look forward to having even more of an impact in the coming months. How has it been working with Steven Kolb and the CFDA on this project, and what have you enjoyed most about working together? Steven Kolb is the ultimate partner in thinking big and never forgetting why we do what we do. He has been a big supporter of LIFEWTR’s purpose. Steven has also understood and supported the dream that the LIFEWTR team and I have for the brand, and for the true role it can play in empowering the creative community. Thanks to our shared vision yet diverse backgrounds, we are able to do what has not been done before: redefine what is possible and consistently push the boundaries. I am forever grateful for our partnership. How do you plan to evolve LIFEWTR’s involvement with NYFW and the CFDA in the future, and why? I guess we will have to wait and speak again soon! What I can share now is that we are committed to our purpose, and we are working diligently together to see what is the most meaningful contribution we can make to this creative community of emerging talent, to art and fashion education, and to society at large. 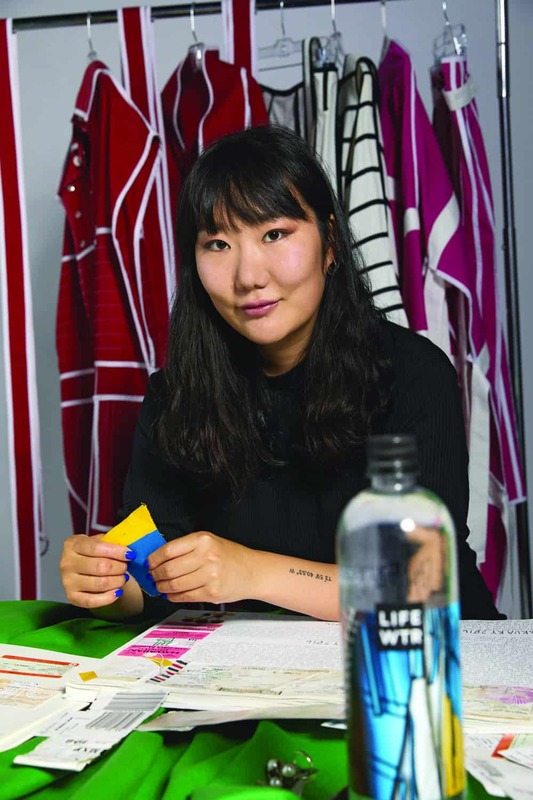 In addition to opportunities to show at NYFW, and to design a water bottle, how might selected fashion designers or artists be involved in additional, new ways in future series of this initiative? No series and no year is the same. No artist or designer is the same. We keep it interesting! We work with our emerging artists and creative talent on devising the most meaningful ways to advance and showcase their talent, all the while creating meaningful impact in communities, such as [Series 4’s focus on] fostering art education. After all, art education is a critical ingredient in driving progress in our society, and in nurturing whole-brain thinkers. Art education is also a common prerequisite of inspiring new emerging talent in the art, fashion, and design worlds. Do you keep in touch with past series’ designers and artists, or occasionally keep tabs on what these talents are up to now? What’s the LIFEWTR alumni connection and community like? Absolutely. All our artists have continued their progress in the creative field, some with great acceleration, gaining international acclaim, representation and exhibitions, global brand commissions, growth of mainstream followings, and recognition. Last year, we organized our first artist symposium with artists from all series to date coming together, networking, and learning from established talent and industry gurus. We aim to continue this tradition! How else do you think these series alums continued to benefit from working with LIFEWTR, long after their series or “class” has debuted or “graduated”? They have had a chance to meet a number of industry luminaries who have direct opportunities to influence the trajectory of the LIFEWTR designers’ careers. And that’s just the beginning! They’re now forever part of the LIFEWTR family. How do you think LIFEWTR has become an impactful part of the fashion industry? The fundamental thing to remember is that LIFEWTR as a brand is about giving a platform to emerging artists and fashion designers. It’s an outlet, a way for them to be found. We select them through our visibility partnership, and really giving the right talent the platform as a chance of breaking through. In many ways, fashion is living art! These are the kind of opportunities that can truly launch careers. How has fashion influenced your own career? Fashion and design have been enormous influences for me, for everything I do. On a personal level, fashion presents such an incredible opportunity for self-expression and allows you to really cultivate authenticity and unleash your personality and ability to think differently. You’ve given us great career guidance in the past. Any advice for aspiring marketing mavens just starting out? Really shape your attitude, so you treat anything you come across as a learning experience and opportunity for growth. Other advice I’d give is to cultivate curiosity by always asking the question “Why, why, why, why,” so you’ll really know the driving root cause behind whatever you’re dealing with. The sixth round of LIFEWTR’s Artist Series celebrates a handful of designers on the rise: Ji Won Choi, Daniel Cloke, and Jamall Osterholm. 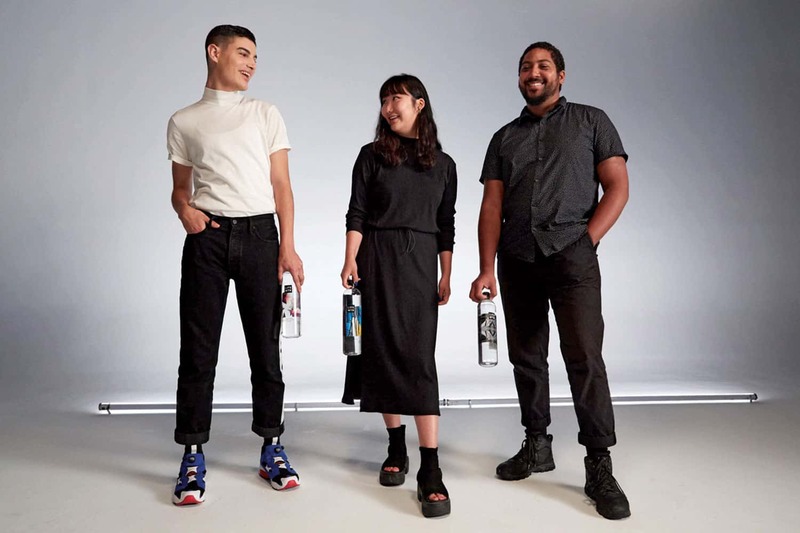 This talented trifecta got to show at NYFW for the first time in September 2018—they also designed their very own LIFEWTR bottles, so you can nab a portable, hydrating piece of their work next time you’re parched. Now, let’s meet the designers! My work revolves around using fashion to address social and cultural issues. Visually, my aesthetic always leans toward dramatic, colorful, graphic. There’s a touch of playfulness, too. Fashion is such a critical part of culture, and I am always inspired by our culture and society. I love seeing the differences in fashion between different cities and cultures, so travel is a critical part of my inspiration as well. Tell us about your chic LIFEWTR bottle design! The artwork on my LIFEWTR bottle is actually a close-up detail shot from my first lookbook. I chose this photograph because it embodies my design aesthetic by capturing color, graphic boldness, and abstract qualities. I’ve always been interested in fashion in some way. I was back home in Oklahoma for the holidays, and I found my elementary-school yearbook where I answered the question “What do you want to be when you grow up?” with “fashion designer.” But I always believed it wasn’t an achievable profession until I attended Parsons. I really fell in love with fashion when I moved to New York and saw the direct influence of fashion on culture. I wanted to be a part of it. How has your upbringing in Seoul and in Oklahoma influenced you as a designer? All the places I have lived and the cultures I have experienced influenced me in some way and gave me different perspectives, which I’m very grateful for. I think it’s important to understand the role that fashion has in different cities, and its impact, aesthetics, style, and even trends. What was the highlight for you of showing at NYFW with LIFEWTR in September 2018? The entire presentation at NYFW was the highlight, because it was my first time showing at New York! This city is where I fell in love with fashion, it’s where I studied fashion, and where I began my career, so it’s a special place to be showing my work. I hope to continue to develop more sustainable methods and practices within the brand. I do use sustainable fabrics, and do as much as I can to cut out waste, but it’s not perfect; there is room to be developed further. What was your very first fashion design? I think it was a dress from the first year of my fashion program that was made out of…bones. It was pretty spooky and crazy to look back on, but I think it shows that even at the start, I was interested in building fabrics as well as garments. What was it like to show at NYFW for the first time? It was absolutely motivating to be chosen for the opportunity, and it gave me a chance to make something to the best of my ability, uninhibited, truly my own—and an honest expression of what and how I design is rare, and beyond fulfilling. It’s a struggle to get attention on your work in such a competitive space. Showing at NYFW definitely gave me a platform to shout my ideas from. How did you come up with your LIFEWTR bottle design? My design represents what I love about designing clothes—color, texture, and motif. I love a gradient, and wanted to give the illusion of depth and perspective through color. Working digitally let me get really detailed and build a more complex picture. What did you learn from your stints at Alexander Wang, Ralph Lauren, and Perry Ellis? My experiences at Wang and Ralph laid the foundations for me to venture into knitwear confidently and with enough knowledge to navigate the industry. School taught me the creative aspect of producing a collection; however, there’s so much beyond creativity that’s demanded. Working with manufacturers, sourcing materials, programming knit and woven patterns—the amount of work is endless, for sure, but real-life experience is the best form of preparation. Dries van Noten, Iris van Herpen, and Walter Van Beirendonck are my fabric heartthrobs. They work at a level of detail and technique that I really aspire to. Iris’s exploration of technology in making her own materials is excellent, and her refusal to dilute her vision for a commercial market is super fierce. How do you want to evolve your brand in coming years? I have quite a few opinions on the industry—its breakneck and unsustainable speed, the lack of support for young artists in an already oversaturated market, the obstacles in place for an emerging designer—and it only emphasizes how vital opportunities like the one I was given are. Young creative design really does hold the power to move this industry forward, and it’s time for the fashion scene to mobilize! My aesthetic plays off of streetwear. I love history, and am often inspired by different time periods. I often imagine the person I am now, existing in a different time where I get to rewrite the narrative placing myself in positions of power. This alternate reality results in a kind of futurist aesthetic. What led you to pursue a career in the fashion industry? I became interested in fashion design as a freshman in college. I went into the fashion department at my university [RISD] with no prior experience in designing clothes or sewing. I always thought fashion was really amazing, so I decided to take a chance and jump into it. Ultimately, it became the most powerful medium for me to express and understand myself. What’s the story behind your LIFEWTR design? The design came from digitally altering an image from an editorial that I photographed. Photography is a huge part of my process; it really helps me visually contextualize my ideas and concepts. I hope to be able to continue the Jamall Osterholm brand by tapping into a space where people can begin to purchase my clothing. In school and since graduating, I’ve mostly focused on my brand identity, developing the concept and world that is my brand. This, for me, has been the most important thing moving forward. Now I hope to develop this creativity into a business. How did you start exploring futurism through fashion? I think that fashion is one of the most important art forms that exists. It quite literally defines culture and tells us about the times that we live in. For me, creating clothes and creating this vision comes from a necessity to realize a world that does not yet exist; a world where I can see myself reflected as beautiful, powerful, and intelligent. I’m creating a world I want to see, so I think these ideas become a kind of speculation for the future, almost like science fiction. I would say that I inspire my work. Everything I do is an attempt to understand myself and my place in the world. My work mostly talks about myself and my identity as a queer black man existing in a world where I am prescribed an identity by society. I’m in fashion to tell my own story, and to defy the stereotypes that are place on me every day.